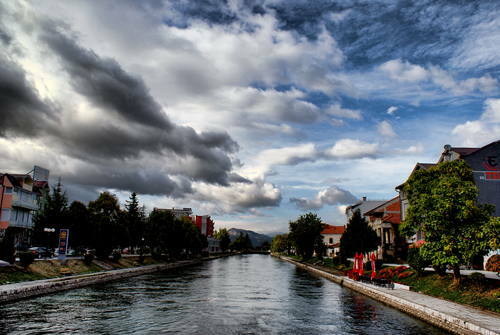 The Fourth Transboundary meeting took place on 27 and 28 October in Struga, the former Yugoslav Republic of Macedonia. 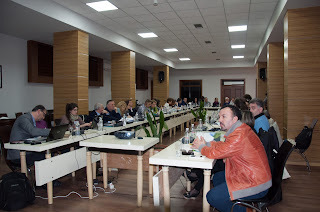 The meeting was organised within the framework of the project “Towards Strengthened Governance of the Shared Transboundary Natural and Cultural Heritage of the Lake Ohrid Region”. A Transboundary Platform strengthens the synergies among the existing transboundary management structures, such as the Joint Secretary of the Watershed Management Committee for Lake Ohrid and ongoing initiatives such as the UNESCO Man and Biosphere designations, in order to enhance management of the Lake Ohrid region in the two countries. Representatives from the Macedonian Ministry of Environment and Physical Planning, and the Ministry of Culture, representatives of the Albanian Ministry of Environment, and the Ministry of Culture, representatives of the Albanian National Agency on Protected Areas, members of the joint secretariat of the Transboundary Water Management Committee for Lake Ohrid, and Mayors from Struga and Pogradec as well as representatives from the local government of Ohrid participated in the meeting. The participants agreed that the Lake Ohrid region project is being implemented satisfactorily and that all planned issues are being tackled within the project implementation. However, it has been agreed that the certain activities are to be accelerated in order to meet required deadlines. This is in particularly relevant for the finalization of the Management Plan and World Heritage Nomination Dossier for the area being proposed for extension. It has been agreed that both countries will exchange the elaborated draft Management Plans, in order to ensure harmonization of actions for extended property. Accordingly, the theme of the 5th transboundary meeting should focus on harmonization of two plans in order to ensure operational structure capable to manage the joint property once inscribed. The draft Management Plan for the property already inscribed to the World Heritage list, is being elaborated under leadership of the Ministry of Culture of the former Yugoslav Republic of Macedonia, but no comments on this plan were received from the municipality of Struga and National Park Galicica. It is strongly recommended that ministry resend request for submission of the comments by these two entities and ensure incorporation of their relevant inputs. Participation of representatives of GiZ to the meeting was also welcomed, as well as their active engagement in the revitalization of the Watershed committee and structures of the Republic of Albania linked with the management of lakes Ohrid , Prespa and Skadar. The Fourth Management Planning Workshop, in the framework of the project “Towards strengthened governance of the shared transboundary natural and cultural heritage of the Lake Ohrid region” will take place in Tushemisht, Albania, on 12 and 13 May 2016. The workshop will be an opportunity to present the progress to date on the development of the management planning document required for the preparation of the extension file to the World Heritage property “Natural and Cultural Heritage of the Ohrid region” (the former Yugoslav Republic of Macedonia) to the Albanian part of the Lake Ohrid. Through extensive group work, the workshop will have a thematic focus on a) the preparation of the Master Plan for the Municipality of Pogradec, b) the Lin Peninsula, c) the Drilon Springs, d) the Memelisht site and its surroundings, and e) the ecological and physical environment of Lake Ohrid region. This management planning workshop series is part of the project “Towards strengthened governance of the shared transboundary natural and cultural heritage of the Lake Ohrid region” funded European Union and the Ministry of Environment of the Republic of Albania). What does the project: "Towards Strengthened Governance of the Shared Transboundary Natural and Cultural Heritage of the Lake Ohrid region mean for Pogradec? Mr. Kapri: The project started with the signing of an Agreement in 2005 between the governments of FYROM and Albania for the protection and sustainable development of Lake Ohrid and its watershed. Both governments are committed to undertaking development and spatial management plans of the area of Lake Ohrid. A steering committee of experts from the two countries are working together to define the criteria, standards, restrictions and clear objectives for the protection of Lake Ohrid region in accordance with EU standards and principles. We hope this project will contribute in this direction. What are the concrete measures that the Municipality of Pogradec will undertake to save and protect Lake Ohrid? 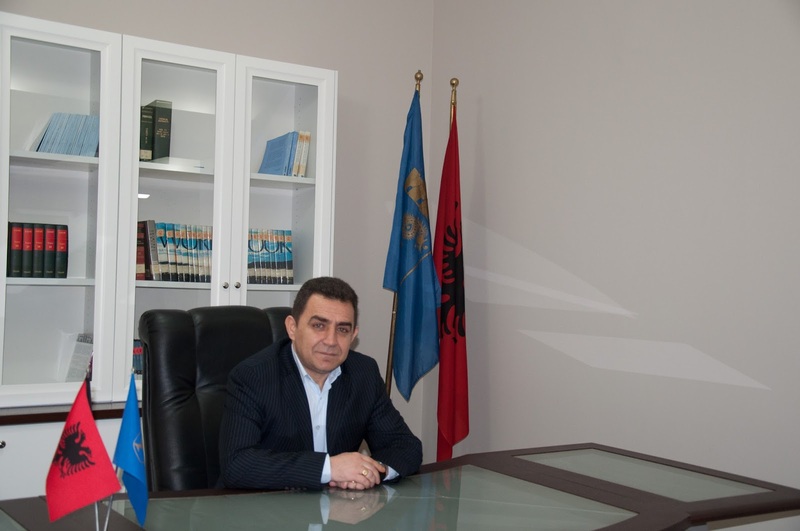 Mr. Kapri: Based on the new administrative division of Albania, Pogradec Municipality is the sole local government unit responsible for the Albanian part of Lake Ohrid. Currently, our municipality is preparing a Local Action Plan (LAP) and is one of 26 municipalities to be financially and technically supported by the Government of Albania. Issues related to the Natural and Cultural Heritage of the Lake Ohrid basin as well as conservation, water quality, its flora and fauna, will be an integral part of the plan. What is the tourism development plan for the area? Will there be constructions on the lake shore? Mr. Kapri: We see tourism development of the area as an essential factor for economic development and support the idea of alternative tourism, in order to make our Lake Ohrid very attractive for tourists throughout the whole year. Pogradec has plenty of tourism resources, which need a new management concept, so that they can bring revenues to the local community. We are also looking at ways of cooperation over tourism with the Macedonian side. The introduction of Lake Ohrid as a joint ecosystem and having a unified tourism product will really have a positive impact on both countries and increase the number of tourists. 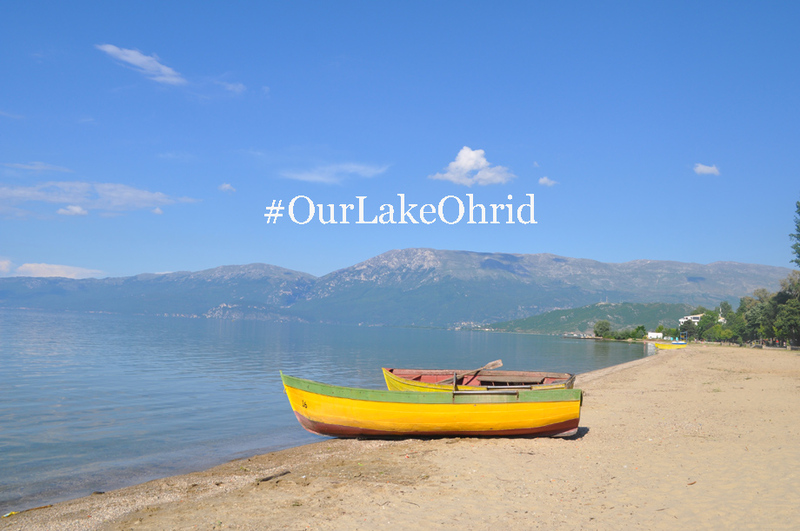 How do you plan to raise awareness and involve the community to save the outstanding values of Lake Ohrid ? Mr. Kapri: Pogradec inherits a tradition and obligation to conserve and protect Lake Ohrid. Our citizens have always seen the lake as a valuable resource, and have treated it as a gift from God. A network of local environmental NGO-s was established during 1996-2004, under the Regional Environmental Centre in order to raise public awareness and participation, thus becoming a factor and a partner of the municipality in decision making for the region of Lake Ohrid. We also consider as a necessity the cross-border cooperation. Together with municipalities of Struga and Ohrid we signed a Memorandum of Understanding in Wismar and another on technical cooperation, will be signed in Ohrid. This is the only way to ensure sustainable development of the Lake, inspired by the motto "One lake, one vision, one future"
Albanian National Council for Restoration at Ministry of Culture defined the Buffer Zone for protecting cultural heritage in the area of Lin Village Pogradec. The protected area includes the ruins of Paleo-Christian Church and Mosaics, which are considered as Monuments of First Category. 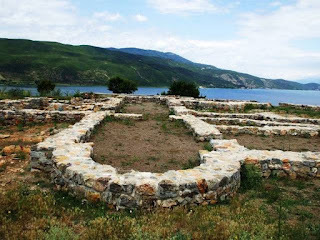 The Paleo Christian basilica of Lin is situated in the West Side of Lin peninsula and represents one of the most important monuments of Albanian heritage. 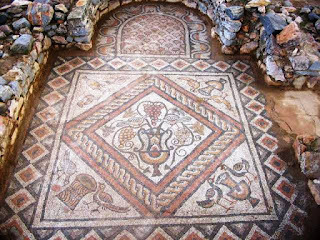 The structure is decorated with colorful mosaics of flowers motifs, geometric and Eucharistic scenes, belonging to early Christian Period. Archaeological excavations and numismatic records of Basilica with mosaic floor are dating back in V-VI the century. Poly-chrome mosaics and rich archaeological material, make the Church one of the most beautiful monuments and the most interesting site in the territory of Albania. Two-thirds of Lake Ohrid is inscribed on the World Heritage List on the Macedonian side of the lake as the mixed World Heritage property “Natural and Cultural Heritage of the Ohrid region”. Now time has come to join our efforts and take over our responsibilities to extend World Heritage status to the remaining third of the lake located in Albania. The project “Towards strengthened governance of the shared transboundary natural and cultural heritage of the Lake Ohrid region” has been designed to address the main factors affecting the Lake Ohrid region through identifying and safeguarding the main natural and cultural assets of the Lake and improving transboundary cooperation and management. Pogradec is one of the most charming tourism destinations in Albania set on the shores of Lake Ohrid. The journey to Pogradec is always inspiring. The more you travel here, the more you become addicted to the city. Travelling over Qafe Thane, reaching the pass and begining the descent down to Lake Ohrid and the beautiful village of Lin with its magnificent scenery surrounded by hills unfolds itself like a book to the eye of the tousists. The beauty and tranquility of the lake move your soul. Once in the city, a long promenade, invites you for a long walk. Pogradec is very welcoming, and people are among the most friendly in Albania, the lake has softened their hearts.. The city was home to many of the country's famous writers and poets: Lasgush Poradeci and Mitrush Kuteli, and lately Luan Starova and painters Anastas Kostandini(Taso), Gjergji Lako, Gentian Zeka, Vangjo Vasili and Ilir Dhima. In the west side of Lin pennisula you can visit the paleochristian church, a National Cultural Monument of Albania included within the site on the UNESCO Tentative List of Albania for the Natural and Cultural Heritage of Ohrid Region (Albania). The Illyrian Tombs of Selca e Poshtme (40km from Pogradec) is another important site to visit. 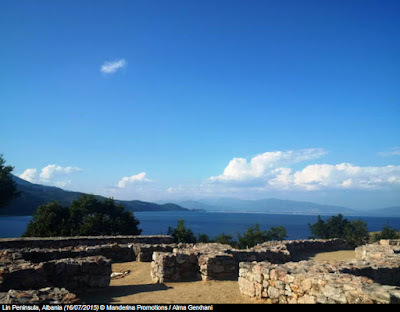 The tombs rest among the remains of the ancient city of Pelion, an Illyrian settlement of the Enchele tribe and the residence of Illyrian kings. In 1996, Albania proposed the Royal tombs of Selca e Poshtme on the UNESCO World Heritage Tentative List. Other archaeological sites include: Other churches to visit are the church of Saint Dimitri (small Orthodox church of 1154 AD) and the church of Saint Marena ( Orthodox church rebuilt in 1744). Drilon National Park, is also an essential place to see in Pogradec with crystal clear springs that supply the beautiful channels overhung with trees and ornamental plants. This was the holiday home for the former dictator Enver Hoxha, whose villa is now a hotel and restaurant. Tushemisht Village and its newly renovated centre is not to be missed. The blogger Yomadic refers to it as Albania's "small Venice" full of canals with clear waters emerging from the mountain that ironically is named "The Dry Mountain". Pogradec is perfect for a relaxing holiday. Peak months are July and August, when the lakeside teems with beach lovers in the sun. Pedal boats are available, and canoeing and kayaking activities are growing in popularity.. Off season, the city goes back to its tranquility, and is ideal for walking and meditation. In winter the scenes are very panoramic, often spectacular with snow covering the mountains, set above a background of green and blue. One of the highlights of Pogradec is its delicious cuisine. The Collaborative and Integrated Management of Protected and Heritage Landscapes Training, which is part of the project “Towards strengthened governance of the shared transboundary natural and cultural heritage of the Lake Ohrid region” will take place on 31 March – 1 April 2016 in the Lin Peninsula, Albania. 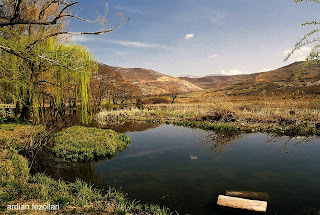 Management of the potential extension of the World Heritage property “Natural and Cultural Heritage in the Ohrid region” in Albania and the overlapping Pogradec Protected Landscape will require a collaborative approach, involving the large number of stakeholders with interests in the area. It will also require establishing a harmonious balance of nature, culture, landscape and development. So-called ‘co-management’ is a less familiar form of governance for many of those who will have responsibility for the area. This short course will bring together representatives of all the main stakeholders to learn about how to develop an integrated and cooperative approach to managing complex landscapes. The course will have a strong focus on interactive learning, with an emphasis on group work, practical exercises, case studies and field work. This project is co-funded by the European Union and the Government of Albania, and aims to improve transboundary cooperation and management effectiveness for the protection of the natural and cultural heritage in the Lake Ohrid region. 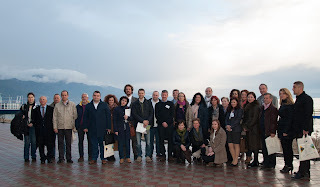 The third Transboundary Platform Meeting of the project “Towards strengthened governance of the shared transboundary natural and cultural heritage of the Lake Ohrid region” took place on 7 March 2016, Pogradec, Albania. This third meeting on transboundary cooperation is part of a European Union and UNESCO initi ative aiming to reinforce conservation and sustainable development through management effectiveness on both sides of the Lake Ohrid. Representatives from the Ministry of Culture and the Ministry of Environment, representatives from the National Agency of Protected Areas, representatives from the local governments around the lake, representatives from the Advisory Bodies (ICOMOS and IUCN) as well as UNESCO gathered in Pogradec to pursue their work in establishing a viable cooperation platform. The aim of Transboundary Platform Meeting was more specifically to present and discuss opportunities in existing transboundary processes for monitoring of the environment and biodiversity which contribute to the safeguarding and the management of the Lake Ohrid region. 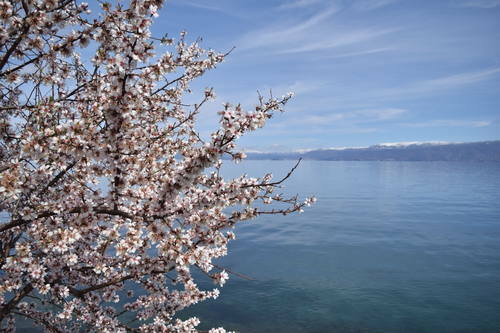 Home to an exceptional biodiversity reservoir of Europe, Lake Ohrid is one of the world’s oldest lakes. 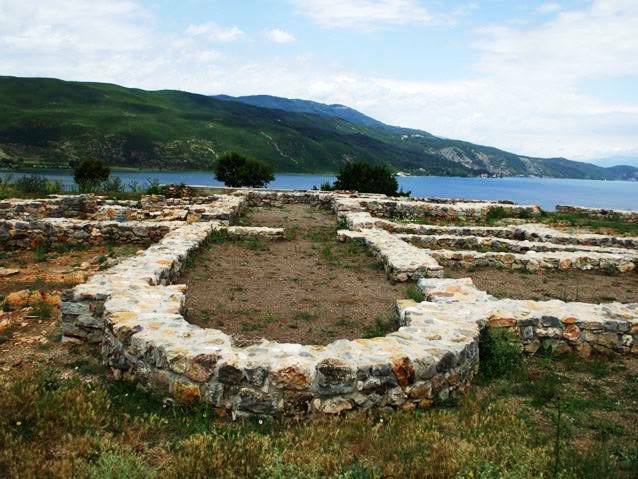 With remains of some of the first human settlements in Europe, the lake is also an important spiritual centre with one of the oldest Slav monasteries built in the 9th century, making it an important religious centre for the region. Natural, cultural and spiritual, the heritage of the region is truly remarkable. The area, situated in the former Yugoslav Republic of Macedonia, is inscribed on the World Heritage List as the property “Natural and Cultural Heritage of the Ohrid region” since 1979. Today, the addition of the remaining third of the Albanian section of the lake to the World Heritage Property would greatly enhance the integrity of this protection. Transboundary Platform Meetings have been designed to facilitate management and collaboration between Albania and the former Yugoslav Republic of Macedonia, and aim among others to provide management efficiency strategies for the potential transboundary extension of this mixed World Heritage property. The area is protected through a number of national and international measures, but unadequate water and solid waste management and illegal building activities have an impact on the integrity of the site today. Në datën 7 mars në qytetin e Pogradecit, u zhvillua takimi i tretë ndërkufitar për mbrojtjen e rajonit të Liqenit të Ohrit. Takimi që zhvillohet në kuadër të projektit:“Drejt një qeverisjeje të përbashkët të trashëgimisë natyrore dhe kulturore ndërkufitare të rajonit të Liqenit të Ohrit”, mblodhi së bashku përfaqësues të Ministrive të Mjedisit dhe Kulturës së Shqipërisë dhe Maqedonisë, përfaqësues të pushtetit vendor Oher, Pogradec e Struga;, ekspertë të çështjeve mjedisore, arkeologjike, instituteve te monumenteve te dy vendeve, ekpertë të organizmave ndërkombëtare si UNESCO, BE, IUCN, ICOMOS që po asistojnë me eksperiencën e tyre në ruajtjen e trashëgimisë natyrore dhe kulturore të Liqenit të përbashkët të Ohrit. Synimi i këtyre takimeve është të koordinohen masat, veprimet dhe të krijohen hapësirat për një menaxhim të përbashkët të Liqenit të Ohrit. Është një Liqen (nder me te vjetrit dhe me te thelle ne Europe) që bashkon dy vendet, ndaj duhet të punohet në një drejtim. Pëfaqesuesit e qeverive të dy vendeve shprehën gatishmërië e tyre për të punuar me përkushtim dhe në mënyrë të ndërsjelltë, për të adresuar së bashku gjithë problemet që lidhen me këtë pasuri të përbashkët kultuore dhe natyrore. Pjesa maqedonase e liqenit të Ohrit, (2/3) është futur si pjesë e trashëgimisë kulturore dhe natyrore botërore në listën e UNESCO-s që në vitin 1979. Tashmë po punohet përmes një projekti të financuar nga BE dhe zbatuar nga UNESCO që të përfsihet dhe pjesa shqiptare (1/3) në këtë trashëgimi të mbrojtur nga UNESCO. Por që të arrihet ky objektiv Shqipëria duhet të plotësojë disa kritere që kanë të bëjnë me cilësinë e ujit të liqenit të Ohrit, me ndalimin e ndërtimeve të paligjshme rreth zonës së mbrojtur, ndalimin e prerjes së pyjeve në zonat që rrethojnë liqenin, me zhvillimin e nje turizmi te kontrolluar etj. Pikërisht për të adresuar këto probleme po punojnë grupet e punës së dy vendeve të asistuar dhe nga ekspertë ndërkombëtarë. Bashkia e Pogradecit mori angazhim maksimal për të adresuar gjithë problemet që u adresuan dhe që hyjnë në kompetencat e saj. Një nga momentet më kyce të gjithë disktuimeve ishte paraqitja e nje studimi të ri dhe te thelluar nga profesoret e Institutit Shqiptar të Arkeologjise për vlerat e jashtëzakonshme arkeologjike që mbart Liqeni i Ohrit, kryesisht në zonën e fshatit Lin, që tregojnë për vendbanimet shumë të hershme shqiptare në këtë zonë, me vlerë historike. Seria e takimeve të grupeve të punës do të vazhdojë ne menyre intensive. Në fund të këtij muaji është planifikuar një tjetër takim për menaxhimin e përbashkët në fshatin Lin. Ndërsa takimi i radhës ndërkufitar, ku do të paraqiten rezultatet e punës së grupeve të punës, u programua për në vjeshtë të këtij viti. Projekti: Drejt një qeverisjeje të përbashkët të trashëgimisë natyrore dhe kulturore ndërkufitare të rajonit të Liqenit të Ohrit, është projekt 3-vjeçar me buxhet 1.87 milion EUR, nga te cilat 1.7 mln euro Kontribut i Bashkimit Evropian, ndërsa Qeveria e Shqipërisë ka dhënë kontributin e saj në vlerën prej 170,000 EUR.